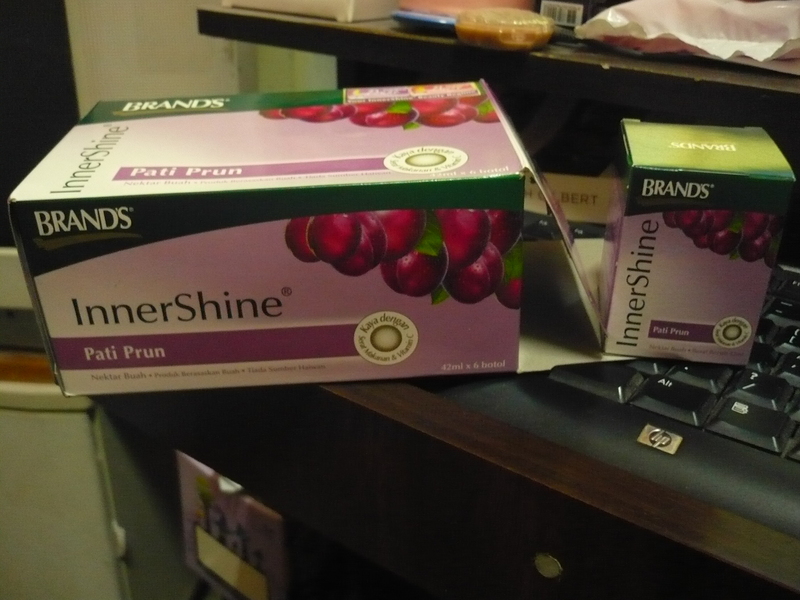 Thanks to violet i decided to try Brands InnerShine Prune Essence. I have bad breakouts and hideous scars as well,some fading and some trying to make a comeback.I always have acne.Violet told me her sister drank this essence and it cleared her skin (wow). I was thinking,this is worth trying.Not that expensive.Since I’m getting engaged this Christmas (which is next week),I’m going to start drinking this starting today people.I hope it will help me clear all this marks on my face.And make me look super radiant on my big day. I went to Watson pharmacy today and bought my self a box of the prune juice and berry juice. Each box consist of 6 bottles of the essence. Drink prune at night and berry in the morning everyday. 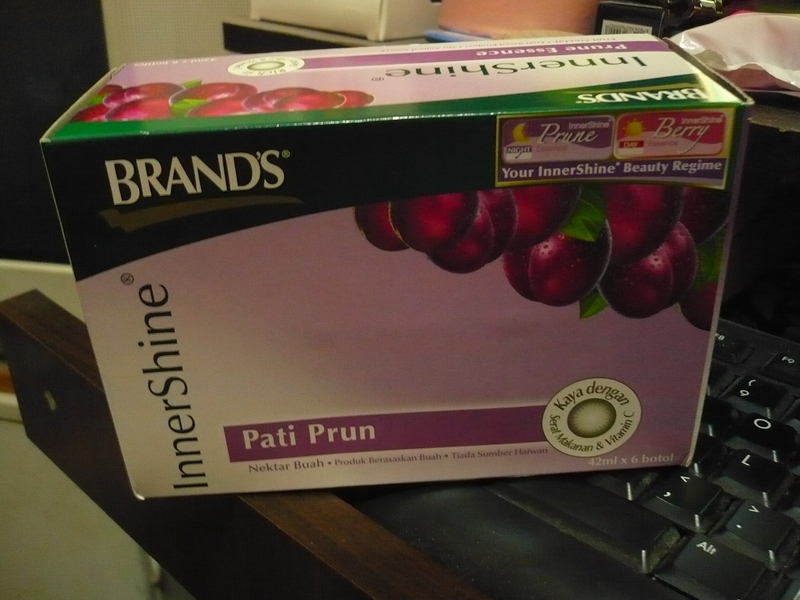 I bought one pack(i think it’s called beauty pack or something) at rm39.90 for one box prune and and one box of berry. If you bought it separately it cost about rm24++ per box. Wait and see for the result.I’m going to post up my engagement pics for you guys to see. This entry was posted in affordable, beauty, life, makeup, shoppaholic, shopping and tagged brands, essence, watson. Bookmark the permalink. Hope you’ll be a blushing beautiful bride soon! thanks violet..I’m drinking the berry essence as well.But i kinda like drinking it,it’s very nice.Hope it works.